This is the second part of he Proceedings of the Fourth International Colloquium of Societas Celto-Slavica held at the University of Łódź, Poland, between 13 and 15 Septemer 2009. 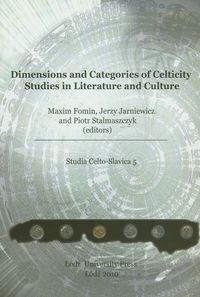 Fifteen articles are prepared by the participants of the colloquium devoted to cross-cultural perceptions of Celtic and Slavic traditions, Irish and Scottish poets and poetry, Celtic sholarship and textual reconstruction, as well as Celtic archaeology and cosmology. The volume also contains an obituary of Edmund Gussmann to whose memory it is dedicated.